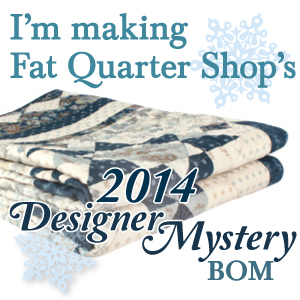 I received Block 8 of Fat Quarter Shop’s Designer Mystery BOM in the mail on Saturday afternoon. No one told me and I just noticed it sitting on my cutting table Sunday morning – but that didn’t keep me from getting it done today! Block 8 is the second of three house blocks in the mystery BOM. This one is designed by Minick & Simpson. 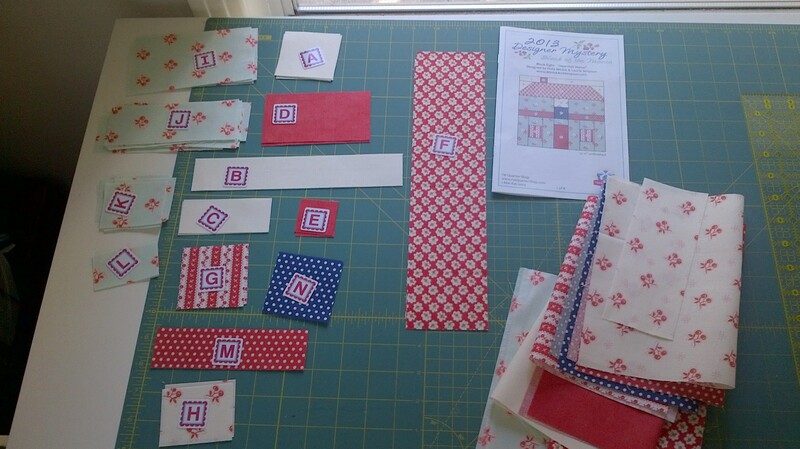 I made quick work of the cutting and labeling – 2 sets of course! My husband is expecting a new smart phone this week, in which I will get his ‘old’ one which is much more advanced than mine. The pictures will be much clearer going forward! Here’s the complete house block. There’s another one just like it – but you can get the idea. Cute block – right? I see opportunities to embellish with some embroidery maybe later after I see everything revealed. But just getting one (two) blocks done wouldn’t make this weekend that productive. I was also able to complete the first official block of Reach for the Stars! I tried to figure out the sizes of the HST blocks within the pattern, but I just wasn’t that smart. The corner blocks were easy, they are 3 1/2″ unfinished. The middle section measures to be a 3 1/2″ x 6 1/2″ rectangle unfinished. However, when I tried to figure out the middle HST inside that rectangle, I guessed too small (2 1/2″ square). The outcome wasn’t that bad and I still like it. You will notice below that my square in the square doesn’t extend to touch the sashing. Also, you will notice that the square appears to ‘float’ behind the fussy cut center. It really isn’t suppose to do that. BUT – I was at least consistent in my error and since I gave myself oversized pieces, I just trimmed down to size and it still all fit together. I’m happy with it. Love how it looks next to my center medallion. 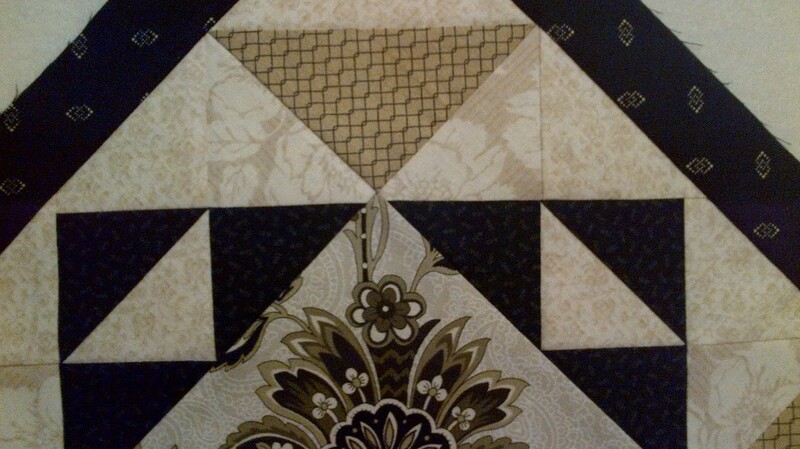 This, for me at least, is truly a challenging quilt only because I don’t have anything to synchronize to as I go along. The next block I’ll follow the cutting and piecing as indicated and see how I measure up at the end. Maybe my 1/4″ seam is better than I know. Dawn, at First Light Designs, has already completed this block as well. Check out her post to see a very alternate and beautiful color scheme! She has great piecework! 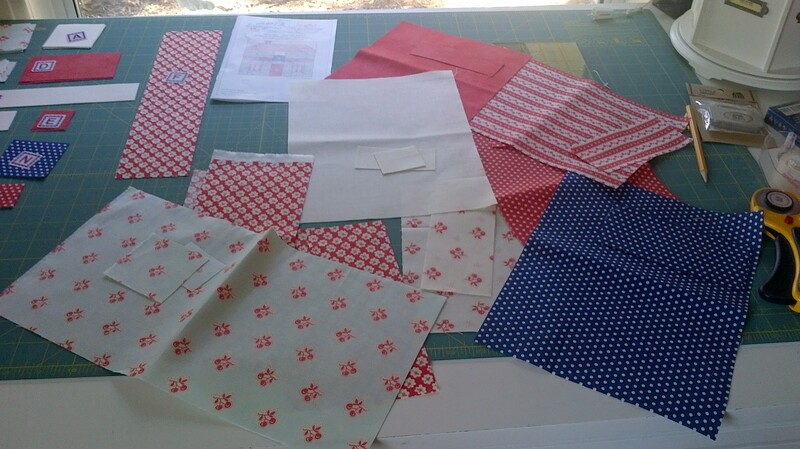 Hope you were able to squeeze in some quality quilting time this weekend as well. It’s back to work tomorrow for me though. Thanks for stopping by! You DID have a productive weekend, Jennifer! Your Reach for the Stars block is beautiful! Love your little house, too. Isn’t it nice to have a block that goes together quickly (the house block) when you have a more challenging one to make that takes more time? 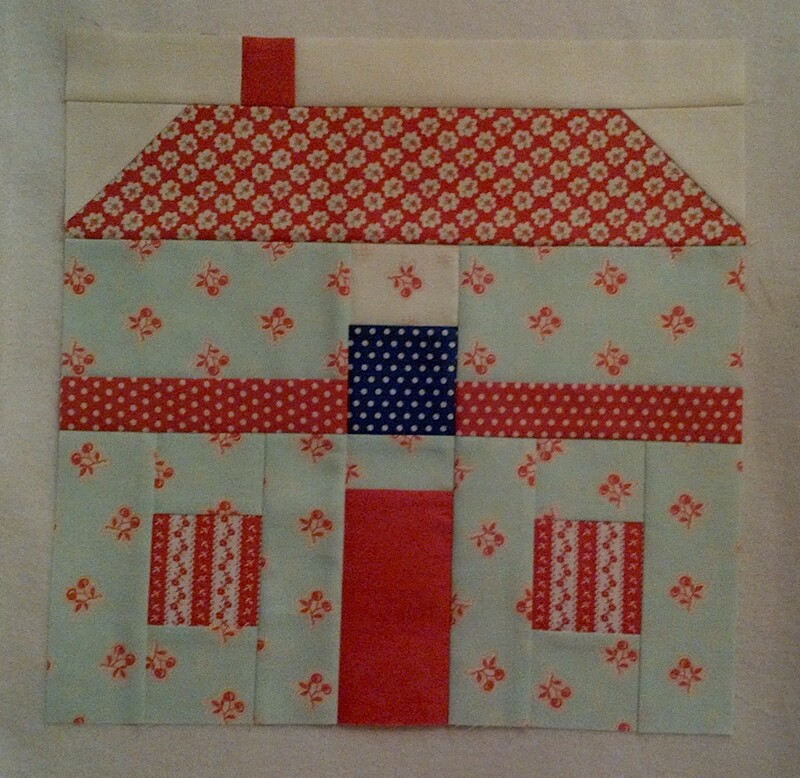 Love your house block Jennifer and Minick and Simpson’s gorgeous fabric. Will have to try out one of those BOM’s. Thanks for all the nice pics!